The top office announced a reshuffle of economy-related secretaries on Tuesday in a bid to further accelerate government efforts to reform the economy and create new jobs. Presidential Chief of Staff Im Jong-seok said the new senior secretary for economic affairs Yoon Jong-won's experience at the Organization for Economic Cooperation and Development correlates with the president's objectives of income and innovation-led growth and fair economy. 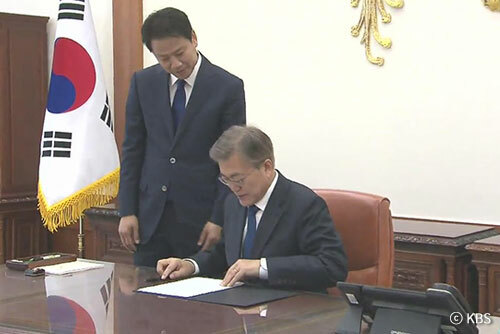 President Moon Jae-in named Jung Tae-ho, who he worked with under the Roh Moo-hyun administration, as the new senior secretary for job creation. Lee Yong-sun, a district chief of the ruling Democratic Party, was appointed to the post of senior secretary for social affairs. 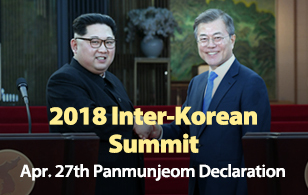 Jang Ha-sung, the president’s policy chief and a key architect of the income-led growth policy, remained in position, suggesting that the government will continue pursuing the strategy. The overhaul came amid calls from both the ruling and opposition camps for the administration to take countermeasures in response to recent data showing unequal income distribution and weak jobs figures.